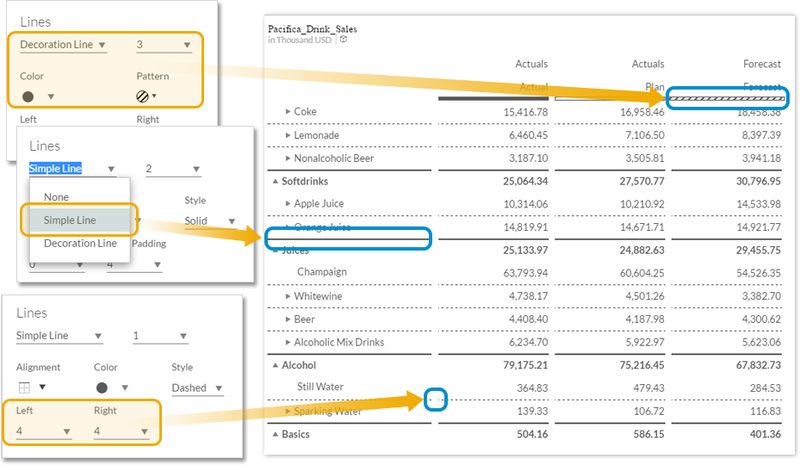 This blog covers some of the latest new features and enhancements in SAP BusinessObjects Cloud and SAP Digital Boardroom release 2016.20. Please refer to the release notes for more details. Got some large files to import? In this release, we’ve increased the file upload size limit to 250 MB for CSV files, and 100 MB for Excel files. As we are working to bring you improvements with each and every release, be sure to check the “System Requirements and Technical Prerequisites” page in the SAP BusinessObjects Cloud Help under the “Data Connectivity – Import” section for the latest updates. We like all kinds of data sources — the more, the merrier! 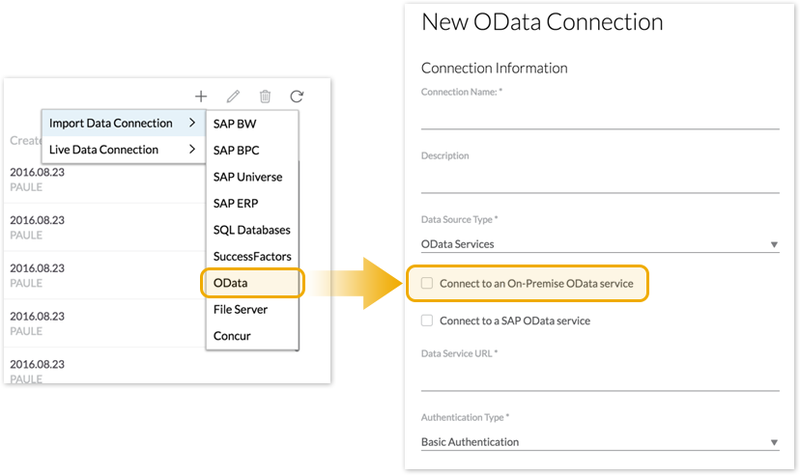 So in addition to connecting to cloud OData sources, in this release we are expanding that support to on-premise OData sources as well. For this to work, the SAP HANA Cloud Connector needs to be installed on the on-premise side. Please refer to the user guide to learn how to install and configure the HCP Connector. We’ve added version security to models, which means you now have the ability to control read/write access to the Version dimension for specific users. Users that have read-only permissions for public versions can still copy the data to a private version that they can edit. But if they don’t have write permissions, they cannot publish into the public version. We’ve made it easier for you to keep things consistent within your stories. 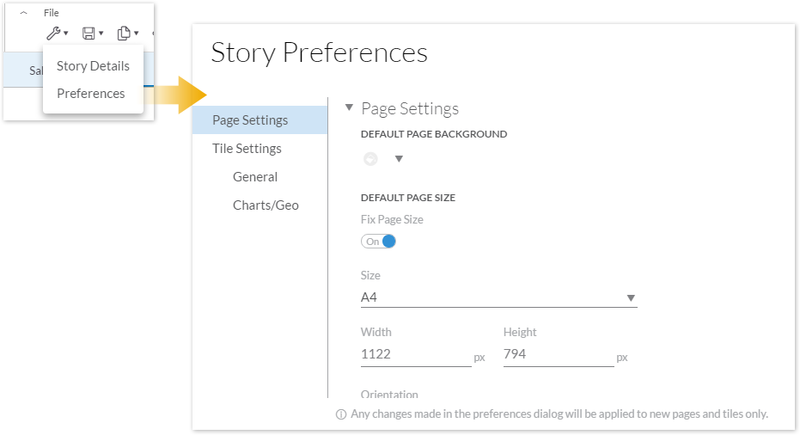 Within each story, you can now specify story-wide page and tile settings that are applied when you create new pages and widgets. This includes options like the page size and background color, the text style and background color of tiles, and the color palettes of charts. Please note this applies only to widget types that are customizable to begin with. You now have more control over the look and feel of your Bubble and Scatter charts. This can help improve the clarity of your charts particularly if you have a lot of data points clustered together, or if your bubbles are very small. For Bubble charts, you can modify the opacity, scale, color, and pattern for bubbles. For Scatter charts, you can modify the opacity of data points. “Data Label Collision Detection” has been renamed to “Avoid Data Label Overlap” but the behavior remains the same. Previously when you selected a cell in a public version, you would have had to manually create a private version first before you can could run a forecast on it. To simplify things for you, a private version is now automatically created for you when you select a cell to run a forecast on. When you create a currency conversion for a table using the Calculation Editor, you can now select a category and date for the conversion. These settings allow you to control which rate from the currency table is used for the conversion. This is a handy feature that is useful for different use cases — you could use it to analyze or simulate the impact of exchange rates on your numbers, by comparing it with @ConstantCurrency or @BudgetRate for example. 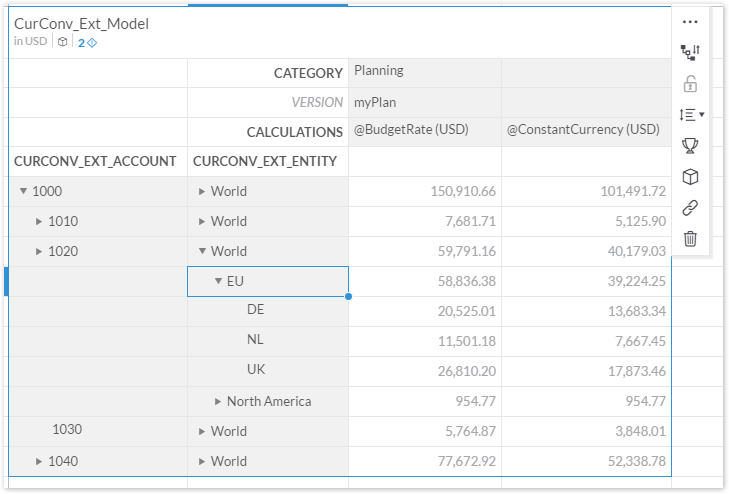 Does BusinessObjects Cloud have live data connection to BW queries during navigation? If not, when will it have this feature? BOC can today acquire data coming from BW, and we are working on complementing it with a live data connection soon. The release note says that 2016.20 has already been released for “net new” but I’m still seeing 2016.19. When will my BOC instance update? Sorry about the late reply – still trying to get used to the new platform and notifications here. We plan to upgrade production tenants for this release by Oct 27.